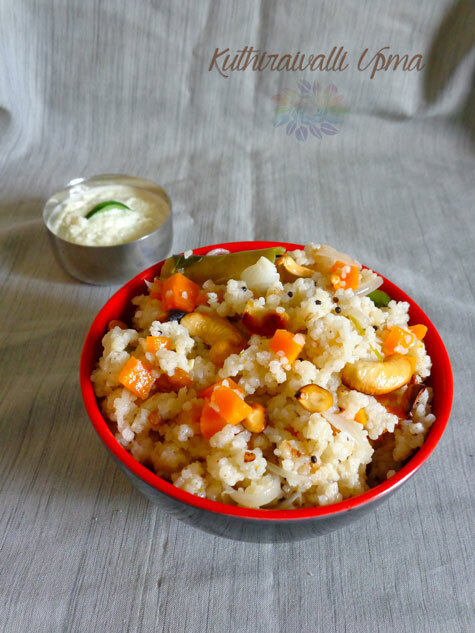 Kuthiraivali upma recipe is a healthy breakfast recipe. Millets have lot of health benefits. We can make Pongal also using this barnyard millet. 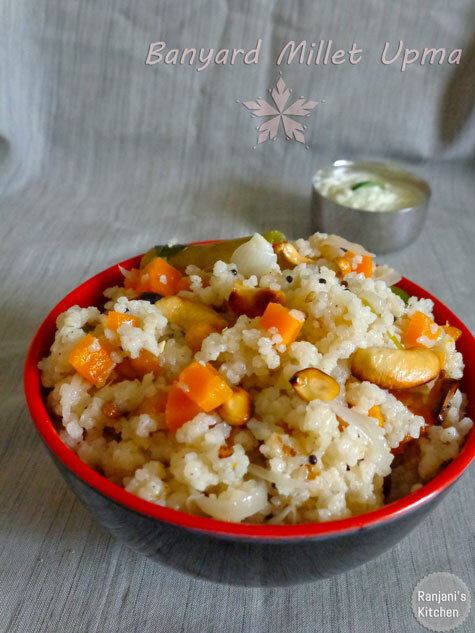 The method is similar like rava upma we usually prepare.We can add veggies of our choice.This barnyard millet is more nutritious than atta and good for heart problems. Let’s see how to make kuthiraivali upma recipe. Rinse barnyard millet for 3 to 4 times well and keep aside. Heat a kadai, add oil and temper with the items given under “ to season”. Add chopped onions, green chilies and carrot. Stir well for few mins. Add water and salt. Bring it to a boil and add washed kuthiravalli. Keep the flame low and close with a lid or plate. Let it cook in simmer for 5 to 8 mins. Then open and check if all water is absorbed.If it is done garnish with chopped coriander leaves and serve with coconut chutney or sambar. Kuthiravalli millet used to absorb more water. So you can add 2 ½ cups instead of 2 cups. Add beans or potato, cabbage of your choice. Adjust the salt as of your taste. Green chillies is enough for one cup. If you are spice lover, add one more chili. We can use red chillies too. Never heard this unique name barnyard millet. 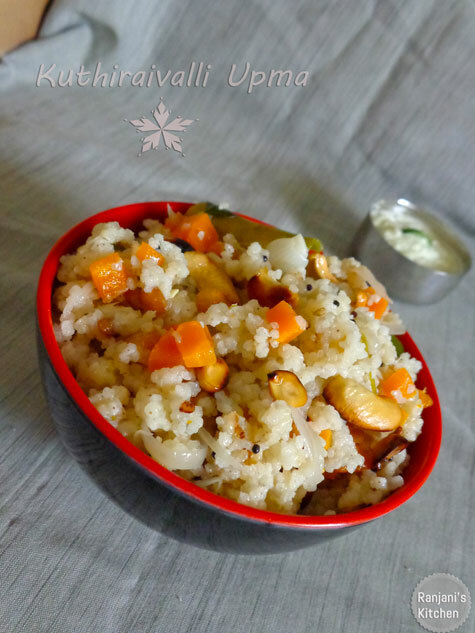 Thanks for sharing this Upma millet recipe.